Spain Solicitor. Letting a house. Renting a house. Cartagena. Murcia. La Manga. Spain. Details of the landlord and tenant. 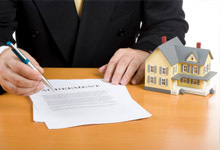 The rental contract should be made before a notary and registered at the Spanish Property Registry. The contract may be signed for a long or a short term. The distinction is very important as Spanish law provides with less rights to short-term tenants. Short-term rental contracts (contracto de arrendamiento de temporada) require that the tenant vacate the property when the contract ends. This type of contract is normally used for holiday letting. The short-term condition must be specified in the contract, which duration may run for up to one year. And the long-term rental contracts can be signed for a duration of more than one year. If the contract does not exceed 5 years duration, it will be renewed automatically upon its expiration for periods of 1 up to 5 years term, unless the tenant is not willing to renew it. The landlord is obliged to accept these renewals, except when he had previously stated in the contract that he needs to recover the property for his own use before running the 5 year period. After the 5 years´ term, the owner may rescind the contract, provided that he had given the tenant 30 days notice before the end of the contract, otherwise the contract will be automatically renewed for 3 years, unless the tenant refuse this renewal. If the contract does not provide its duration, rental contract will run for 1 year. The current letting law establishes, the landlord’s right to a deposit (called fianza), equal to one month rent payment, as a guarantee against damages. The deposit cannot be used to pay the rent to the landlord, and will be returned as the tenant moves out, in case the property is in good conditions. Normally, rent is monthly paid 7 days before the end of the month. The amount of the rent is agreed between both parties. Tenant must receive a written receipt justifying that rent has been paid, unless it is accredited by other means. During the first 5 years, rent will be increased or reduced according to the Indice de precios al Consumo, Consumer Price Index. After that term, rent will increase according to both parties agreement. Tenants must pay gas, electricity and telephone bills, unless otherwise is agreed. Expenses produced for daily use of the property (community fees, real estate tax) must be paid by the landlord, but tenants may be required to pay them if it is expressly agreed by both parties in the rental contract. Although the landlord is not responsible for repairing any damage caused by the tenant, he must take all necessary repairs to keep the property in a fit and habitable condition. Tenant shall make those small repairs on account of the property daily use. Urgent maintenance repairs may be undertaken by the tenant in order to avoid serious damages. This must be made previous notice to the landlord, repair costs will be returned to tenant. The landlord must give the tenant three-months notice of the landlord´s intent to undertake repairs affecting to health, hygiene and comfort in the property. In this case tenant may renounce the rental contract within 1 month from the notice. If the tenant decides to stay, he may get a reduced rental rate in relation to the dwelling rooms that cannot be used because of the repairs. If you are required to sign an inventory of the property contents ( furnishing, fixtures and fittings) and their state, you better check this carefully, because every item outlined on the list shall be returned when you move out in the same order as listed. Otherwise, you may lose your deposit. The parties of the rental contract may be substituted for another person, who will acquire all rights and obligations of the old tenant or landlord. The landlord may be substituted when he sells the rented property to a third party. The tenant may be substituted when he got divorced or died. In such a case his descendants or spouse could stay in the property up to the termination of the rental contract. The tenant may sublet a portion of the rented property to another person for the same period he had contracted; he must notice it previously to the landlord. The rent that the third person shall pay to the original tenant must be lower than that stated in the rental contract. Undertake repairs without landlord’s consent.